It’s no secret that the original copies of the books which comprise the New Testament (i.e., the autographa) are long gone. 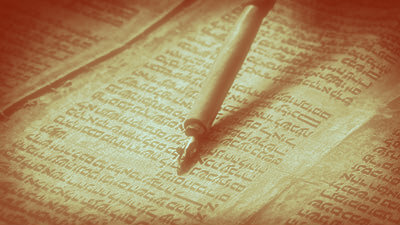 Those who produce New Testament translations rely upon the approximately 5800 copies of the original autographs. Due to human error and corruption, these manuscripts are different from one another. While there are many of these differences (i.e., textual variants) among the extant manuscripts, the vast majority of variants have absolutely no bearing upon our English Bibles, and there are no variants which legitimately and significantly affect Christian theology or doctrine. There exists a question however, as to the method utilized in determining which manuscript readings represent the authentic text. All English translations of the New Testament rely upon a method known as textual criticism to derive what the translators believe is the authentic text. Textual criticism is not the practice of criticizing the New Testament. Rather, the phrase refers to the careful and scientific study of manuscripts so as to determine the original text. While there are various philosophies or methods of textual criticism, most English Bible translations utilized by evangelicals (e.g., NIV, NASB, ESV, CSB, NRSV) basically utilize a critical edition of the Greek New Testament. The critical editions rely upon a philosophy of textual criticism which evaluates and weighs manuscripts and their readings according to a variety of external and internal considerations. This method, called reasoned eclecticism, provides a fair hearing for all ancient manuscripts, and weighs them accordingly. Advocates of another textual critical philosophy called the Majority or Traditional Text theory, argue that one ought not to weigh individual manuscripts to evaluate their authenticity, but instead, one ought to merely accept those readings which occur in the most amount of manuscripts. In other words, proponents of this theory rely upon math to determine the New Testament text. Almost universally, advocates of the Majority Text (here forth MT) insist that the preservation of the Scriptures require that the latest manuscripts necessarily reflect the authentic New Testament. For this reason, many MT adherents conflate a belief in the inspiration, inerrancy, and preservation of the Scriptures with the affirmation of their view. MT proponents argue that the most widely available text throughout the ages is represented only in the most recent manuscripts, and because God has preserved his Word, the majority readings found in those manuscripts are necessarily original. While there are a handful of published editions of the MT Greek New Testament, there are even fewer English translations. 1. God providentially preserved his Word among the extant New Testament manuscripts. It is an unfounded assumption to suppose that the inspiration and preservation of the New Testament requires that one evaluate manuscripts according to MT theory. 2. Many MT proponents, like those who promote the exclusivity of the King James Version, underpin their arguments by asserting that a grand liberal conspiracy has resulted in the predominant evangelical approach to textual criticism. This assertion is complete nonsense, as evidenced by the fact that the most ardent defenders of biblical inerrancy reject MT theory. 3. The MT theory arbitrarily asserts the prominence of a particular era of manuscripts. Wallace notes, “Among the Greek MSS, what is today the majority did not become a majority until the ninth century.” Moreover, the New Testament that results from the MT theory wasn't available until 1982, when Hodges and Farstad published their edition. Such an observation isn't necessarily indicative of the unoriginality of the MT. However, because MT proponents depend upon the prominence of their text to make their case, the lack of an MT New Testament for the last 350 years is a defeater. 4. Because there are no New Testament manuscripts that reflect the MT before the 4th century, advocates of the view insist that all of the manuscripts which reflected the MT wore out. Conversely, MT advocates often argue that the only reason why manuscripts survived is because they were neglected due to their poor quality. This explanation is contrived and borders on being a conspiracy theory. Are we to believe that every single MT manuscript wore out to the degree that it completely disappeared? Such a proposition is preposterous! So too, what is to account for the 5-6th century manuscripts that haven't worn out? 5. One of the primary arguments of MT supporters is the notion that “Too much faith is placed in human scholarship, and determining variant readings by pure speculation.” This objection relies upon the assumption that God cannot or would not utilize human means to preserve and recognize his Word. This assumption cannot stand scrutiny since human means were utilized in the production of both testaments, and the authors of the New Testament often utilized the scholarship of their day (e.g., the Septuagint) to communicate God’s Word. Those Christians who espouse modern text critical principles don't place “too much faith in human scholarship,” but instead, trust that God has used and will continue to use human means to accomplish his ends. Additionally, the textual principles utilized to produce the critical editions are in no way speculation. Rather, the MT theory requires several unfounded speculations (e.g., the notion that all early papyri that reflected the MT wore out). This number regularly fluctuates due to discoveries of both previously unknown manuscripts and the relationship of individual manuscripts. For a fine explanation of scribal mistakes see James R. White, The King James Only Controversy: Can You Trust the Modern Translations?, (Grand Rapids: Baker, 2009), 61-63. Despite postulations to the contrary, even the translators of the King James Version used a form of textual criticism in determining their translations. See The Translators to the Reader: Preface to the King James Version. The two primary critical editions of the New Testament are the Nestle-Åland Novum Testamentum Graece 28th Edition, and United Bible Societies 5th Revised Edition. External considerations primarily include age, quality of the manuscript, geography, scribal habits, and presence of a reading among other families (i.e., text types) of manuscripts, versional manuscripts (i.e., ancient translations), and early Christian writers (i.e., patristics). Internal considerations primarily include the preference of the shorter reading, the hardest reading, the reading which accords best with both the writer and the context, and the reading which best explains the existence of competing readings. For a helpful introductory look at the canons of textual criticism, see David Alan Black, New Testament Textual Criticism: A Concise Guide, (Grand Rapids: Baker Academic, 1994). Wilbur N. Pickering, An Evaluation of the Contribution of John William Burgon to New Testament Textual Criticism, ThM Thesis, Dallas Theological Seminary, 1968), 86. These include Zane C. Hodges, Arthur L. Farstad, The Greek Testament According to the Majority Text, (Nashville: Thomas Nelson, 1982), William G. Pierpont, Maurice A. Robinson, The New Testament in the Original Greek According to the Byzantine/Majority Textform, (Atlanta: Original Word Pub., 1991), and more or less Wilbur N. Pickering, The Greek New Testament According to Family 35, 2nd Ed., . Pickering’s text is derivative of a group of very polished late Byzantine miniscules (i.e., 11th-12th century), namely family 35 (i.e., Kr). See for example the scholars who developed the definitive Chicago Statement on Biblical Inerrancy. It ought to be noted however, that there are fine men like Maurice Robinson, who while affirming the MT position, do so with dignity and grace. Daniel B. Wallace. 1994. “The Majoriy-Text Theory: History, Methods, and Critique,” Journal of the Evangelical Theological Society, 372, 202. Daniel B. Wallace. 2004, “The Majority Text and the Original Text: Are They Identical?,” Bible.org, https://bible.org/article/majority-text-and-original-text-are-they-identical#_ftnref21. Tim Warner, “New Testament Translation Preface,” The Pristine Faith Restoration Society, https://www.pfrs.org/PFRV/preface.pdf, 3.